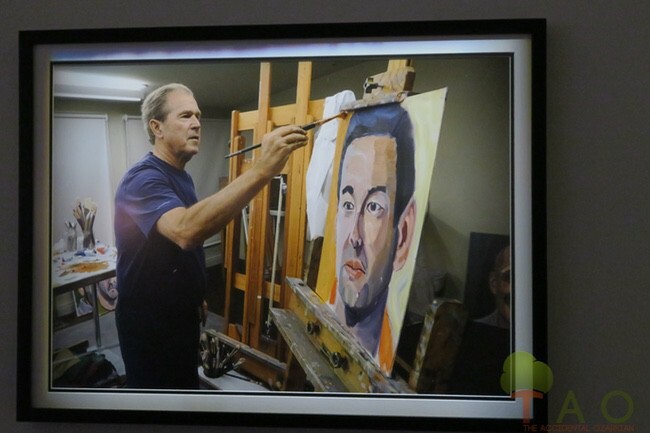 “Most of the paintings are closely cropped portraits that I hope give viewers a sense of the remarkable character of these men and women,” wrote Pres. Bush, in the intro to the book. 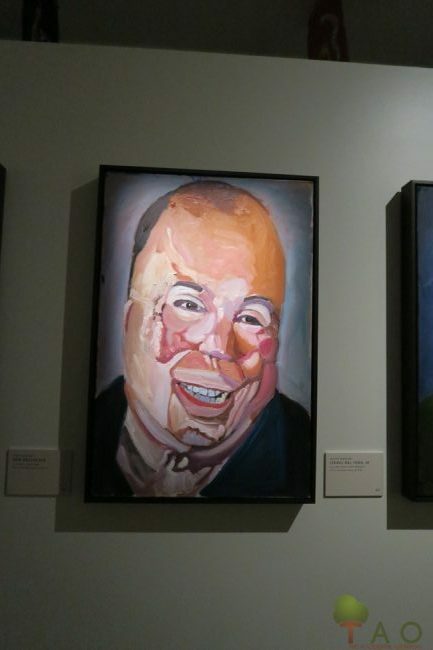 “I wanted to show their determination to recover, lack of self-pity, and desire to continue to serve in new ways as civilians.” Some of the other paintings show a bigger picture – of an amputee on a golf course, for example. 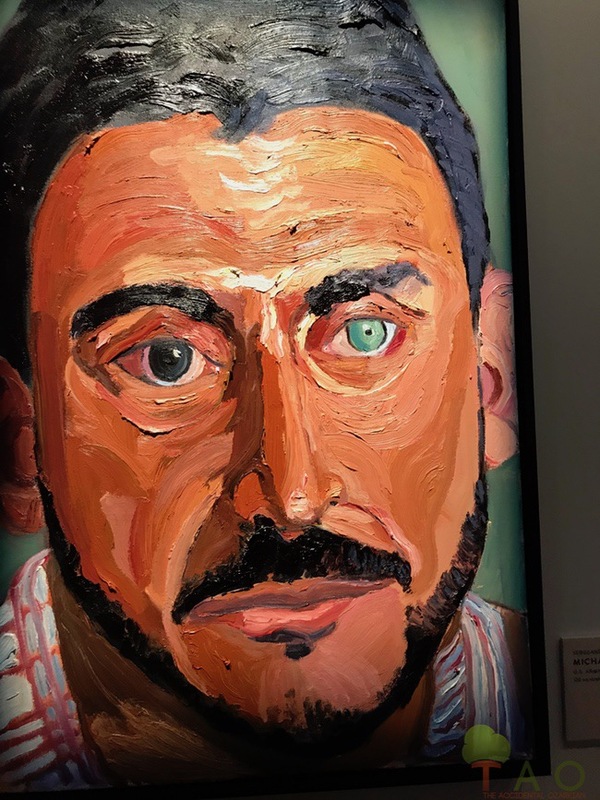 Immediately, I noticed the portrait of retired Army Sergeant 1stClass Michael R. Rodriguez, a Special Forces Green Beret who served for 21 years and suffered at least 12 concussions. His portrait was one of the prominent illustrations in the airline magazine. Rodriguez wears prosthetic lenses in 2 colors. One lens corrects his double vision and the other addresses severe headaches, balance, dizziness and light sensitivity. Rodriguez now serves on the Institutes Military Service Initiative advisory board and loves to forge beautiful knives in his blacksmith shop. 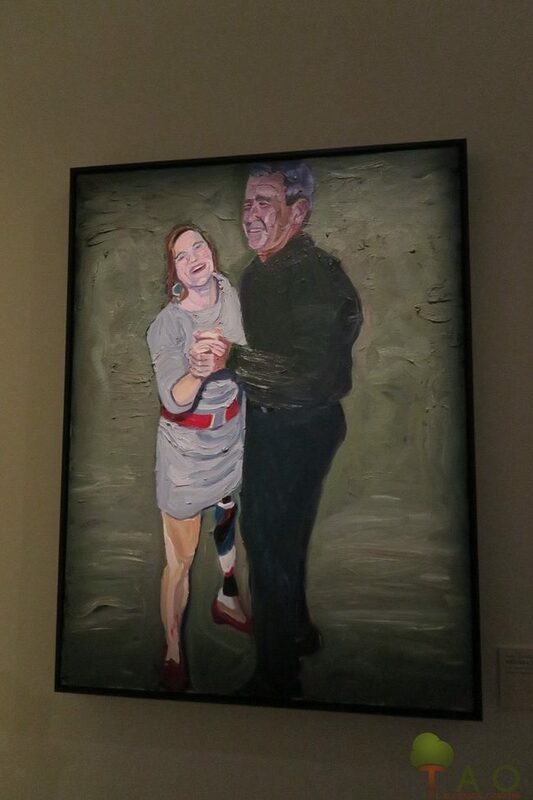 Retired Army First Lieutenant Melissa Stockwell is featured on a large canvas dancing with Pres. Bush in April 2012, during festivities after the Warrior 100K Ride. Stockwell had her left leg amputed above the knee, after a combat injury in 2004. She swam in 2008 Beijing Paralympics, and then started competing in the sport of triathlon. She is a 3-time Paratriathlon World Champion and a bronze medalist from the 2016 Paralympics in Rio. Stockwell, as you can imagine, is a highly sought motivational speaker when not in training. 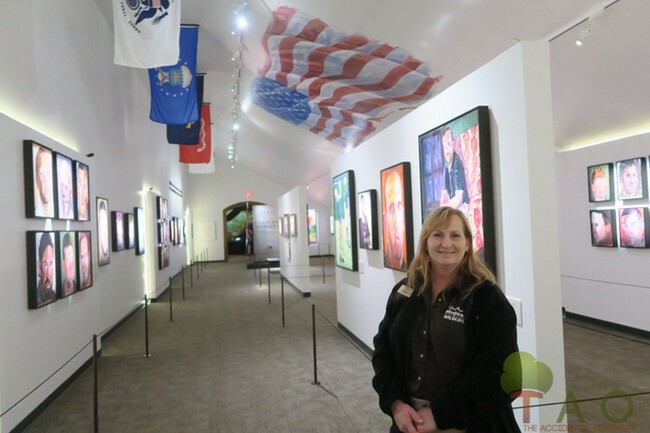 Master Sergeant Israel Del Toro, Jr.
Annette Genung is a volunteer at the museum, and she said she feels honored to spend time in this special gallery. 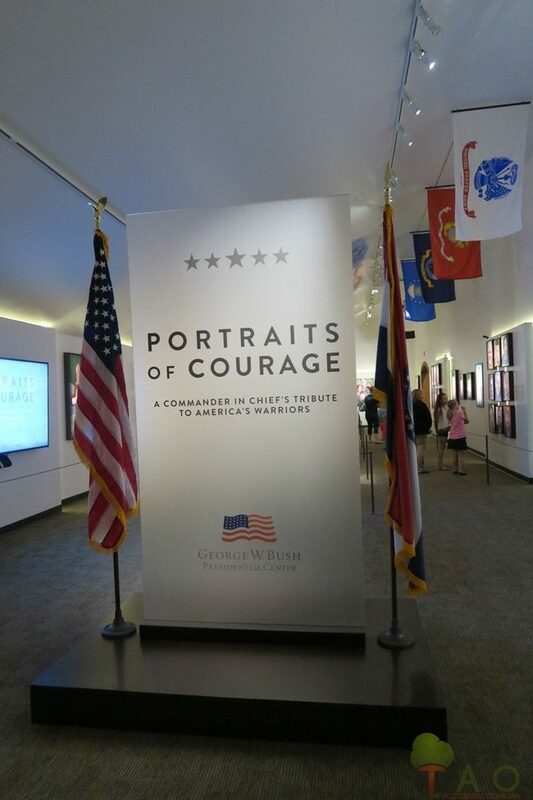 “Portraits of Courage” will be on display until July 5, 2018, at Wonders of Wildlife National Museum. 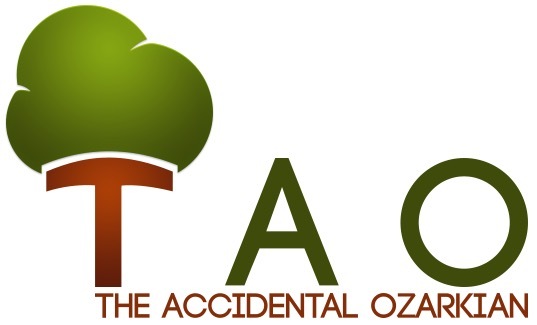 Admission is included with ticket price to the Wildlife Galleries. 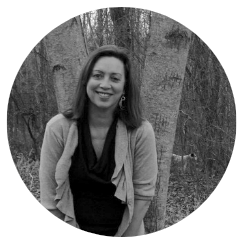 Learn more about Portraits of Courage. Visit Wonders of Wildlife National Museum & Aquarium.